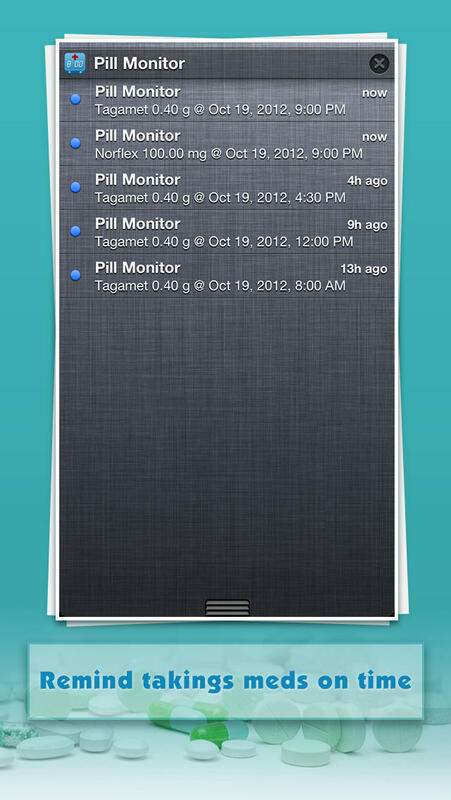 ⁃ Schedule unlimited reminders of each pill. ⁃ Customer reminder time, repeat date and dosage of pills. 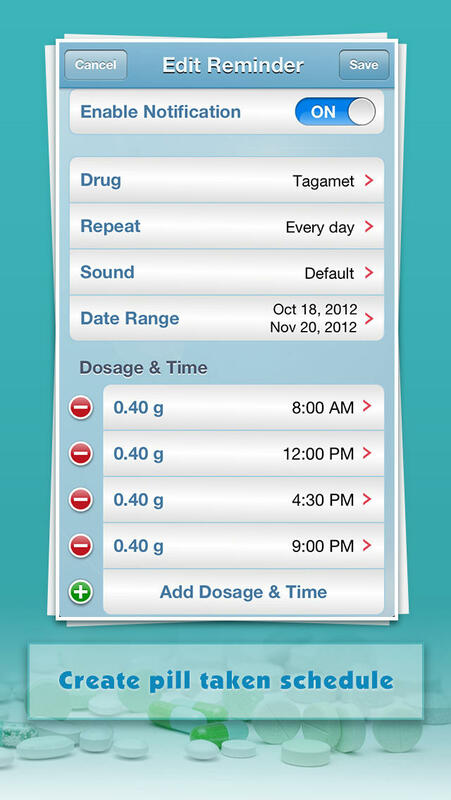 ⁃ Create reminder with multi reminder times daily of one drug. ⁃ Remind you on time no matter if you are operating this app or not. ⁃ Choose to take, skip or snooze pills when it reminds. ⁃ Chose snooze time if you are not convenient to take pills. ⁃ Check your current reminders and upcoming reminders. ⁃ Eleven different reminder sounds for you to choose for each pill. ⁃ Comprehensive manage your pills’ info: side effects, recommend dosage, units, form, rx number etc. ⁃ Add photos to each pill. ⁃ Keep, add, edit, or delete your pills taken history. ⁃ Add note to pill taken entries. ⁃ Pass code function to protect your info. ⁃ No internet connection needed. ⁃ Email pills taken logs to your Drs.